You should spend more teaching the back swing. On the one hand, you teach getting tight in the coil to maximize torque. At the same time you teach staying wide and loose to avoid tension and maximize club head speed. This appears to be an ambiguity that can confuse followers of your technique. Powerless arms is the person not hitting it or helping in in any way with their arms. This is not floppy arms which I just did a tip on. 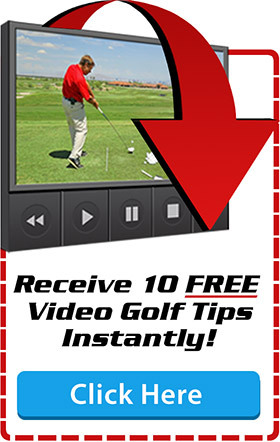 So you need to be coiling like in any great golf swing. I just don’t want you hitting. If your arms are connected to your body and you turn your body your arms will move. 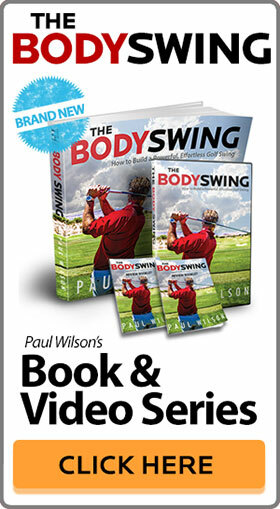 Hey Peter…I’ve been using Paul’s technique for several years and the tightness he refers to in the coil is felt in your core…more specifically in your left side/shoulder/lat area. The arms/arm muscles are what must stay loose and powerless. Keep working at it and it will click!! Good luck!! I heard what you said about always having the club in the air….with it on the ground, it’s as if the ball were there. I have been practicing with a spot on the ground so I am reminded to stay behind that spot. But staying behind “the ball” is just one thing. There are so many other things I want to reinforce that it just seems to make sense to practice as closely as possible to an actual swing, Do you think I’m kidding myself? Yes, you must elevate the club in air when doing these swings. This will allow you to feel your legs. This is a drill for more power. If you are working on the swing then keep working on the swing. Just understand that all tips are not or all people. If it doesn’t apply at this time work on it later. I worked with Re-Max long drive champion Mike Dobbyn and helped him to stop hitting with arms. The result was no distance loss and way more accuracy. Once he knew he could get a ball or two in the grid he could then wail away at it with his arms if he wanted to. Typically, if you are using your arms you are going to lose distance through poor contact and tightening your wrists. I would like to see every pro stop hitting but if that happened golf would be boring to watch because they would rarely miss fairways and greens. I consciously made an effort to speed up my backswing ,and my overall swing time came down to 1,10/1,20 seconds :lo and behold :my swing speed went up by several MPH (5 to 10 MPH ).I don’t know if I respect the 3/1 ratio but clearly speeding up the backswing ,yet still bringing the club to the top parallel improved very much my swing speed . I observed that your backswing is fast ,much faster than my “older “backswing . Am I right in my analysis ? You don’t hit the ball going back so a slow backswing means nothing unless you are so slow you are not coiling or hinging properly. If you want to increase it then coil your forward shoulder back faster. 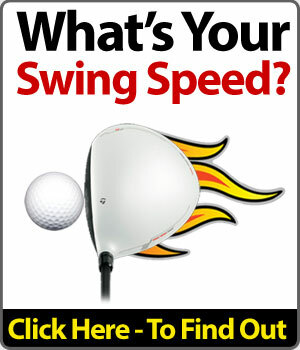 I would think you are not fully coiling which is why you gained power with a faster backswing. Faster you turn the more momentum you will create with your body mass. I think my swing is around 1.2 seconds. It’s been a while since I have checked it. I have a much better swing when I am able to minimize power in my arms, in the degree I am available to do it. It is varying, and when I see my buddies doing it with their arms and more or less flatfooted and still hitting longer than me, then it is tempting to powering arms again in order to hit it longer. Though I try to avoid it. But I have this draw in my swing and are not able to hit the ball quite straight very often. I would prefer to hit it straight. Do you have a tip of what I am doing wrong ? I want to minimize this draw. Step 1 to getting rid of a slice is to hook it consistently first. Step 2 is to increase the leg drive to straighten it out. So you could drive the lower body harder. If your lower starts before your upper you have an axis (body) turning before mass (the club). This process would flatten the club allowing to swing down the line. Now, if you are hooking it without trying to hook it you have a grip problem. I say this because from a neutral grip and cannot over hook it. To reduce the excess spin you need to check your grip and make it neutral. Then I just did a tip on increasing the leg drive. You need to watch it if you have not seen it. Moral of the story if you are releasing the club and not hitting it far enough you are not using your legs enough to turn your body. Start working on this and you will hit it longer than your buddies with a slow looking swing. Paul I know this works because when I swing this way the ball goes straighter than ever before. Sometimes I get a draw if I get it too flat. Also I hit the ball very high with my driver When I want to get that penetrating ball flight. I have been told I am swing down on the ball. How can I prevent this from happening? If you are hitting it too hit you are chicken winging it. In doing so you are adding loft. I would be doing my roll over drill and hooking it. As you do this drill you are de-lofting the club which will lower the flight and loosen your wrists. Once you can consistently do this you then add lower body rotation to straighten it out and get the proper trajectory. I have seen quite a number of pros and better players, when they address the ball with the driver, they address it between the sweet spot and the toe. At impact more often than not it hits the sweet spot. What is the thinking behind this? I do his too. This is to allow for the arms fully extending through impact away from your body. You can try it if you want. I had been getting real good golf scores during last season. After watching myself on video, i realized that my downswing became severely in-out. That is, it seemed to go under the plane severely. or i would just hit it thick while pushing the ball to the right. I’ve been trying to fix it for a few months now, without luck. perhaps signaling that i have bad balance? They may be touching at the end but I guarantee you are sliding as soon as you start down. This lead knee knees to go back as you start down not move laterally. In other words you are cheating the position by locking it at the very end. Your body tilt determines the path. Tilt too much right you will swing too much right. Tilt left you will swing it left. To stop over tilting right you need to TURN more.